I don’t remember if I ever explained why I am passing along books, etc, from my library, so I’ll do it now for those curious. My apologetics/theology library has over 1000 volumes of books and journals in six, 7-foot bookshelves and boxes. I also had a couple hundred other books which were left over from our old book table ministry. We are anticipating moving in a few years at the most and I would like to not have to move all these publications! Aside for the leftovers from the book table ministry, I have been slowly going through my shelves to see what is redundant — i.e., what books have been later replaced by others with more information or revised editions, etc. Also, what books have I not used for reference in years. Essentially, I want to divest myself of any material for which I do not see a future need! Since I started offering them on my blog in 2016, I have given away over 250 books, 25 videos, numerous journals and magazines, and other booklets and small publications. I find it worth spending the postage to be able to pass along this material to the younger generation (I’m going to be 67 in April), especially since many health issues are slowing me down in my "research and development” for articles and studies, etc. After all, it costs me much less in media mail postage than it would for any of the recipients to purchase the book! And many of the books I have sent out were acquired from unusual sources. Mind you, every single book in my library, including those I’m passing along, have been read by me. I will not pass along something with which I’m not familiar, and I’ve destroyed probably another 100 books published by cults or false teachers and which were used by me for researching them. I didn’t want these to get into the wrong hands and mislead people. 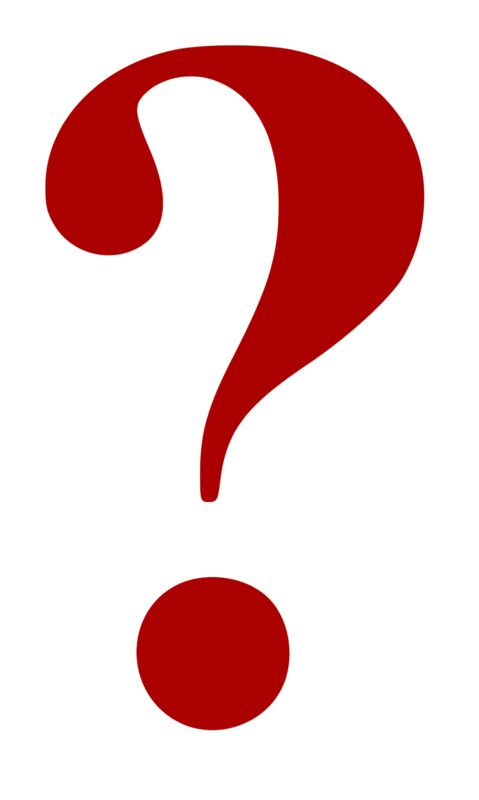 So just keep your eyes out for when I post books for give-aways—the first comment or email I receive (based on time stamps, since I might not see them until the next day) requesting the book is who will get it. 1:51: “you” is plural, not spoken just to Nathanael. 2: Wedding In Cana. Bride or groom most likely related to Mary, else why her concern? Maybe a child. 2:12: “brothers”. These are literal half-brothers, sons of Mary. 3:3: “born again”. Born from above. 6: One year before crucifixion. 6:37-40: Those who put their faith in Christ are given to him by God. 6:40 and 6:54 are parallels, so they mean the same, proving the eating and drinking is not literal. 6:44 is contingent on 12:32. 6:59: His audience was Jewish. 7:3, 5, 10 all refer to brothers as literal brothers, i.e. sons of Joseph and Mary. 7:37: this is about 6 months before the crucifixion. 7:38: Jesus is the water. Isa.55:1; Zech 13:1; Ezek.47. 7:39: Believers have the Spirit. 8:4: “caught in the act”. Then where is the man because he is also guilty! 8:6b-8: What was he writing? Could it have been the law that both needed to be charged? 8:12: This is actually picking up from 7:39. During this festival lights were important. Lighting ceremony at the festival of the booths is at Zech 14:5b-9, Isa. 49:6 which is read at the festival. 8:41: They knew that Joseph wasn’t Jesus’ father. 8:44: Satan “killed’ Adam and Eve when he seduced them into losing life. 8:58-59: Jesus claimed to be God, proven by their desire to stone him IAW Lev.24:15. 10: 3 months prior to crucifixion. 10:10: “life”, i.e. union with God vs “death” as separation. 11:35: “Jesus wept.” Over the results of sin in addition to friendship. 11:38: Angry at sin, death, unbelief. 11:44: He was restored to life, not resurrected. 12:3: Nard is from India. 12:23: Probably time wise right after Mark 11:15-17. 12:40: They hardened their own hearts by rejecting God—because of God their hearts were hardened. 13:10: “You are clean” is plural. 14:6: Only one way of salvation. 14:26: The Holy Spirit to teach the apostles. 14:30: This refutes the Word of Faith heresy. 15:16: He chose them as disciples/apostles, not for salvation. 17: 3: Defines eternal life. 17:7-8, 14, 26: Jesus personally taught them. 18:12-13, 19: Annas was deposed by Romans in 15 AD; Jews were upset and considered him still the authority. 18:31b-32: John 12:32-33. Crucify vs stoning was Roman execution. 19: The crucifixion seems to be dated at April 3, 33 AD. 20:11-17: Why didn’t she recognize Him? Distance? Turned away and saw in peripheral, and that’s why when she turned around she recognized Him? 20:25: “nails in his hands” - “nails” plural rather than nail singular, meaning both were separately nailed, destroying JW “torture stake” claim. It seems like the devil never ceases to find things to tempt people into believing rather than the simple Gospel of Jesus Christ. Educate yourself by studying Scripture and being aware of what is going on within the “church” at large so as to be able to discern what to avoid. So here is my latest “round up” of news I’ve come across in the past couple of weeks. Forewarned is forearmed. I’ve written a series and posted articles and links to articles about the fraudulent and anti-Christian nature of psychology. This article explains even moreso why it is anti-Christian. This man is NOT a pastor, but he IS a narcissist. Just another clown entertaining goats. Nasty fallout over the James MacDonald imbroglio. Pastor John Secrest was in the right to refuse to allow MacDonald to speak, and yet HE gets fired!!! So much for church discipline. But the latest information says James MacDonald himself has now been fired. Then there is a big shake up with the Elder Board and Executive committee. 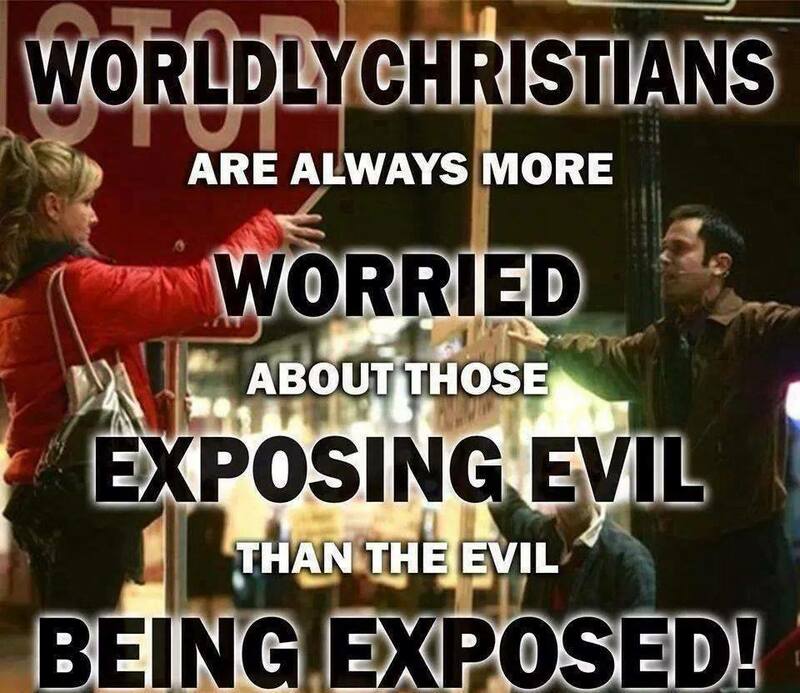 No dead person ever had a “mantle” for another Christian to take on. 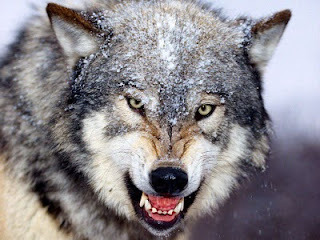 Lou Engle is a very, very dangerous wolf; beware of him and the false teaching group Youth With A Mission. Good resource of examinations of Beth Moore’s teachings. Avoid teachings by Lisa Bevere as if your spiritual life depends on it — because it does. Brannon Howse continues to demonstrate how he is more about promoting himself than about promoting truth. I used to respect this guy but he went “off the rails” sometime back and it looks like he will never be on track again. How many times do I have to warn people that Hillsong is NOT a Christian organization!?!? And yet churches still financial support them by using their music. Christianity Today Astray again attacks the Bible and real creationists. Southern Baptist Convention continues their spiral into apostasy. Followers of Todd White have absolutely NO discernment and actually want to be deceived. White is a fraud and a tool of Satan. How to delete a Commandment you don’t like. Yep, the Papists did just that. Bethel goat-pen, again. People seeking God would never go there. As a pattern for true worship [Nehemiah 9] should be seriously studied and earnestly followed. Several important elements of worship should be noted. First, it springs from the reading and teaching of the Word of God. Second, it is centered in a knowledge of the greatness, holiness, and mercifulness of God. Third, both confession and adoration of God are the natural consequences of reading the Word of God and meditating on His person and precepts. Allegories are empty speculations and as it were the scum of Holy Scripture. Origen’s allegories are not worth so much dirt. To allegorize is to juggle the Scripture. Allegorizing may degenerate into a mere monkey game. Allegories are awkward, absurd, inventive, obsolete, loose rags. New religions usually want to alienate children from parents. When one thinks of cults, one of the first associations is the attempt to drive a wedge between parents and children. A review of an interview with William Lane Craig demonstrates problems with the theology of some who are acclaimed as top-notch apologists. I, personally, would never point anyone to Craig for defending the faith. James MacDonald escapes the consequences of his actions! The leaders of Harvest are not acting biblically. MacDonald should never again exercise any leadership roles in the church. Another false teacher/heretic seem to be born every minute. Kevin Zadai is a new one on me! Another example proving the Pope does not represent Christ. And another one: he is promoting violation of laws. Do we really need more proof that the Pope is not a Christian? The Gospel Coalition has continued their slide into apostasy, and now they are assisting the forcing of children to not have two parents. Black Hebrew Israelites — a dangerous, racist cult. 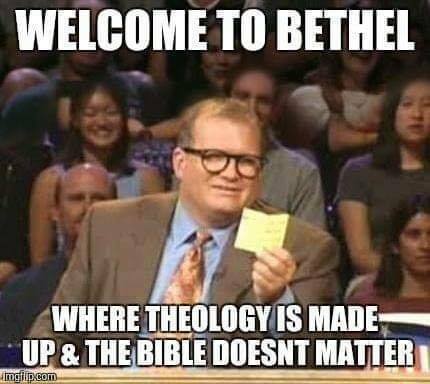 When women’s ministries abandon the Bible. Russell Moore has gone beyond the pale, and has been promoting apostasy and learning from false teachers. Todd White has proven he isn’t a Christian, but a tool of Satan. Proof that Hillsong is an heretical organization. Mark Driscoll is still a dangerous wolf. 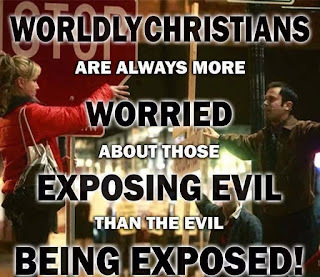 Andrew Wommack — beware that he is just another vicious wolf. Why isn’t this Catholic bishop excommunicated? He blasphemes Christ. Do not trust the teachings of David Barton. A funny way to make a very good point about “worship” music.